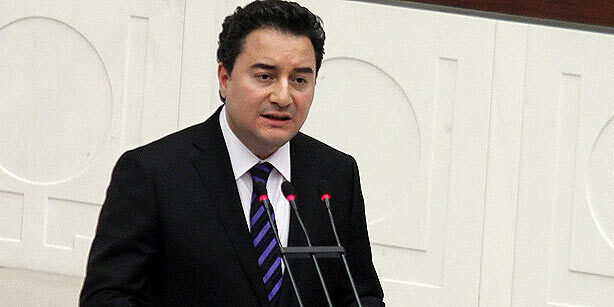 Turkey's Deputy Prime Minister Ali Babacan today told the Turkish parliament that remarks made by Iranian officials on the deployment of Patriot missile air defense systems on Turkish soil are “no doubt unacceptable,” as Iran has offensive missiles with a range of 2,000-2,500 kilometers, capable of hitting Turkey. On Sunday, Iranian Foreign Minister Ali Akbar Salehi criticized the deployment of the Patriot missiles, describing the move as “provocative.” Salehi’s comments were followed by cancellation of a planned trip to Turkey by Iranian President Mahmoud Ahmadinejad. Tensions between Turkey and Iran have risen over the Syrian crisis. Iran is a staunch ally of Syrian President Bashar al-Assad, while Turkey has been one of his fiercest critics and has supported the opposition. -JUST who is Nato member Turkey at war with?-answer is "no one"
-DOES THE PATRIOTS GUARANTEE SAFTY TO ANY NATION?-answer is "NO"
-is TURKEY formenting trouble in Syria?-answer is "YES"
-is Turkey a responsible neighbor?-answer is "no"
-IS Turkey happy about Iran's growing scientific breakthroughs and an upshoot in military technological archievements?-Answer is "NO"
-is Turkey a partner in crime against the oppressions of the Palestine People?-answer is "yes"
-does Turkey take independent decisions on the political dispension of the middle East? answer is "NO"
conclusions -so what does He mean by saying IRAN HAS OFFENSIVE MISSILES with longer ranges?-does HE MEAN HE IS SAFE AD AT EASE WITH ISRAEL'S ATOMIC WEAPONS but misses his sleeps with IRAN'S 'inaccurate missiles'[arcording to their own words?] -THIS IS THE PROBLEM WITH ALL STOOGES! AND THE SICK MAN OF EUROPE WONT DISAPOINT YOU!! The problem with Turkey is that it can't afford NOT to abide with western demands. Its economy is necessarily interwoven and dependent upon the EU/NATO and with Turkey's growing bubble and soon-to-come credit crunch, it must fall in line. In my opinion, the AKP's days of glory are gone for the foreseeable future, especially if the Baathist party in Syria somehow manages to survive. And Iran's economy is over 80 percent based on oil sales. I think oil provides about 70% of Iran's revenue. My point is Iran always has something to fall back on (namely, hydrocarbon) and thus can manage to survive without following the commands of other states. It shouldn't be a surprise that Turkey is not doing the same because they can't afford to do so; their economy cannot bare the brunt. My other point is as the west begins to ail, so too will Turkey. Turkey has lied about their economic success. Their ~10% growth rate was a result of manipulation and the real numbers are more humble. Their debt is a cause for concern as is Turkey's deficient being around 10% of GDP. One of the main reasons why Erdogan won the elections was because he handed out low-interest loans to everyone. One day these loans must be returned, and when the Turks cannot pay, then we'll see what happens to the AKP. If history is a cruel mistress, the back-stabbing Erdogan will see how it feels when real internal conflicts begin to spark a la Libya and Syria. Turkey has no reason to fear any Israeli attack and good reason to think that a failing and flailing Assad dictatorship might send missiles into Turkey. http://www.youtube.com/watch?v=4r7871ldYm0 --- Iran warns against anti-missile batteries on Turkish border. http://www.youtube.com/watch?v=7X1E1fZeUAQ --- Truth power of Iran media scares US.